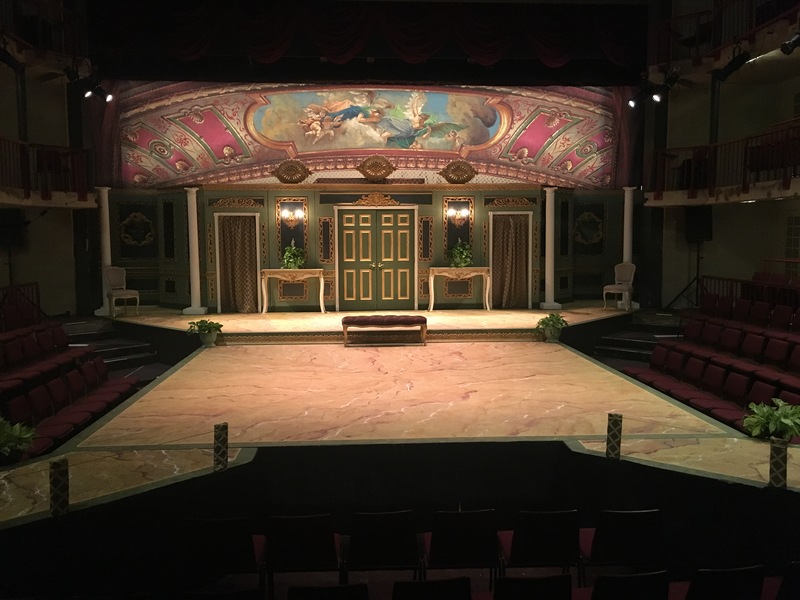 Not too long ago, we received several gorgeous pictures from the Milton Academy in Massachusetts. 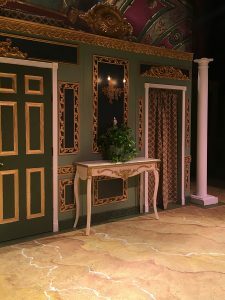 They ordered several different types of millwork products for the school’s production of Molière’s Tartuffe. 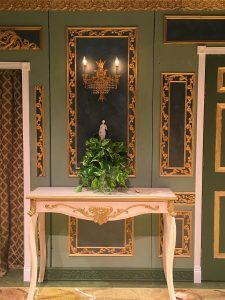 Each Ekena Millwork product added immense details to the stage that truly set the time period of the play. Milton Academy’s stage production of Molière’s Tartuffe. The Ekena Millwork Emery panel moulding traced the stage with exquisite detail as it glimmered in its fresh coat of gold paint. Made of solid urethane, this particular piece of moulding is durable enough for both interior and exterior uses. 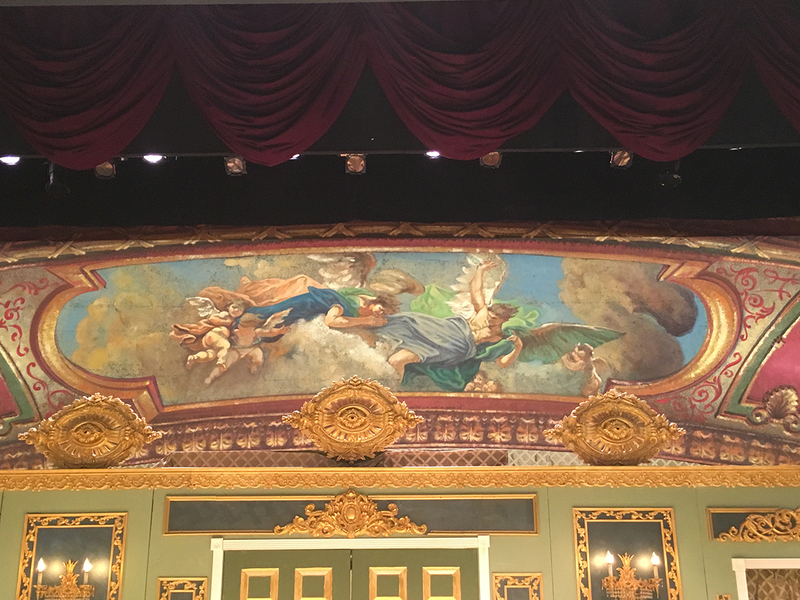 The Ekena Millwork Antonio ceiling medallion overlooked the stage with a looming presence that would not be found in other ceiling medallions. 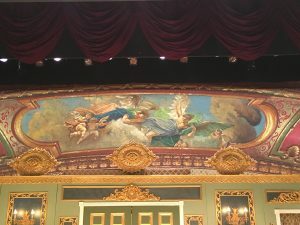 Ornate details from the center outward, the oval ceiling medallions are the perfect addition to any light fixture (or school production). 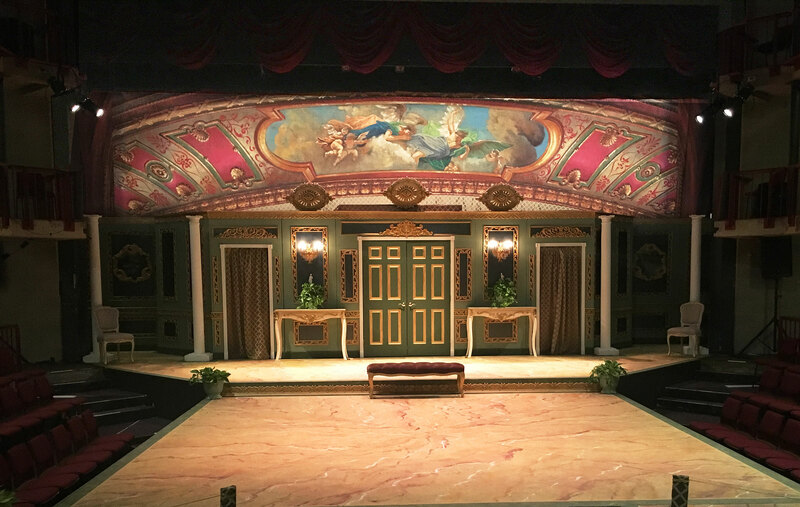 Straight in the center of the stage sits the beautiful Ekena Millwork Haven onlay. Also made of solid urethane, the Haven onlay is lightweight, yet sturdy! This makes the installation process simple. 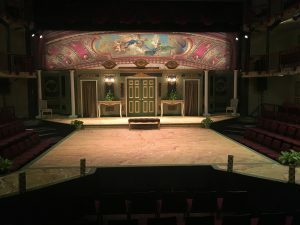 Neighboring the Haven onlay are the two Ekena Millwork Marseille onlays. Matching the other detailed pieces of the stage, the Marseille onlays are perfect for this specific project! However, customers often use these onlays as accents on cabinetry, furniture, fireplace mantels and ceilings. 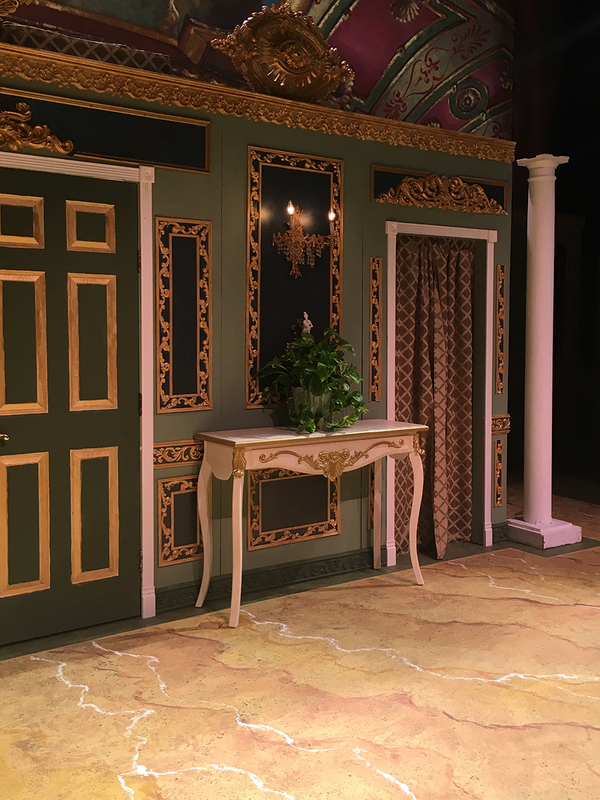 Finally, there’s the Ekena Millwork Kinsley pierced moulding that frames each doorway and light fixture on the stage. 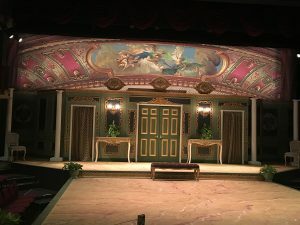 It is modeled after original historical patterns and designs, which was perfect for this play. 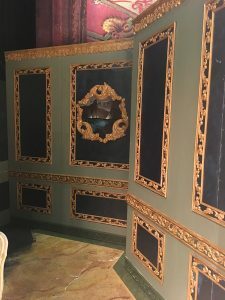 If any of these millwork products sparked your interest, please check out the full collection of urethane products offered by Ekena Millwork via the link below!